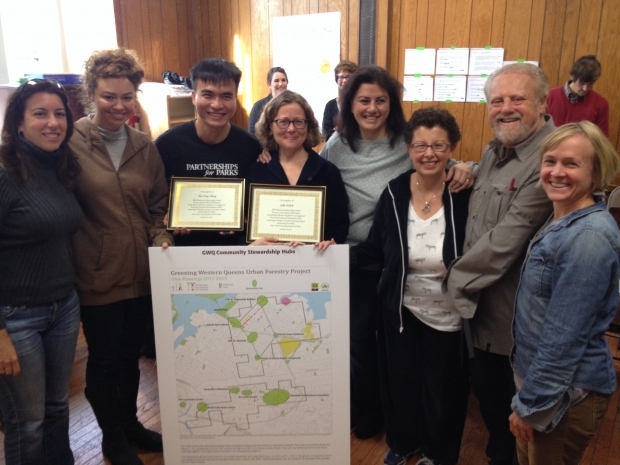 The Friends of Astoria Heights Park is honored to be part of The Astoria 5. 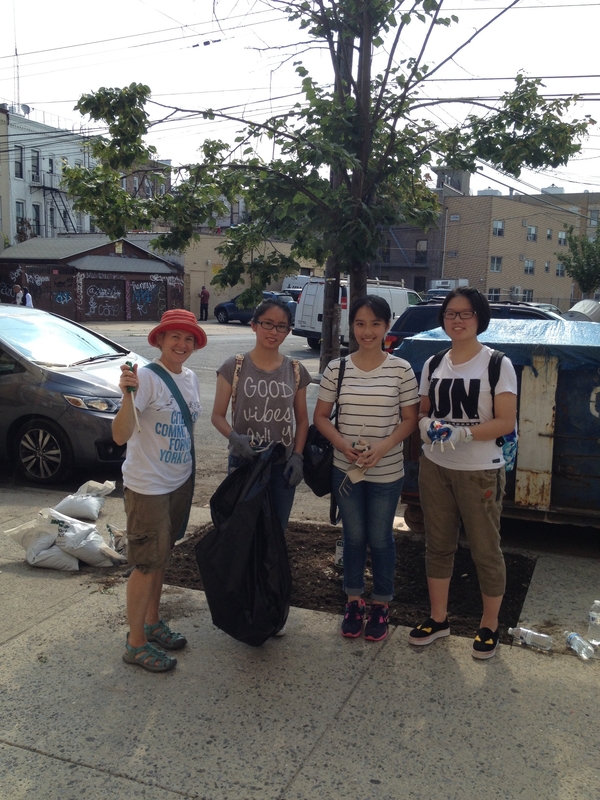 The Astoria 5 Coalition of tree care stewards consists of 5 groups: Friends of Astoria Heights Park, 27th Street Block Asscociation, Hoyt Avenue Stewards, the 38th Street Stewards and the Astoria Green Gardeners Association. 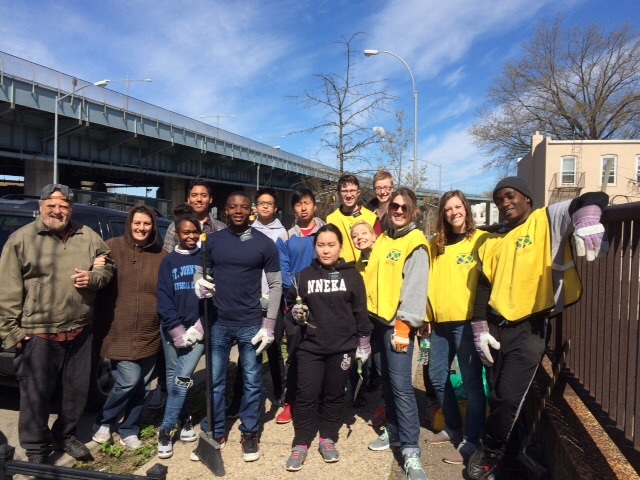 In 2015, the Partnership for Park, a program of NYC Parks and City Parks Foundation approved seed fund of $3500 in support of the Greening Western Queens Community Forestry Project stewardship group, Astoria 5. 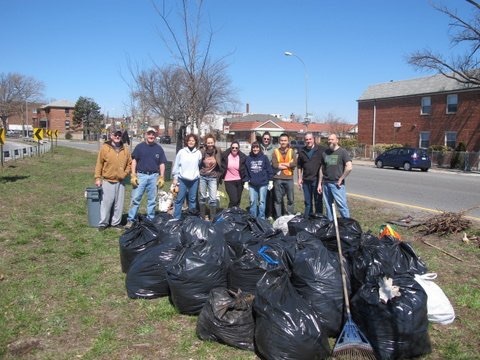 The funding was made possible by the Greening Western Queens Fund of North Star Fund. The map of Greening Western Queens project area was defined by a legal settlement between Con Edison and the community in Western Queens which was impacted adversely during a power outage in the summer of 2006. 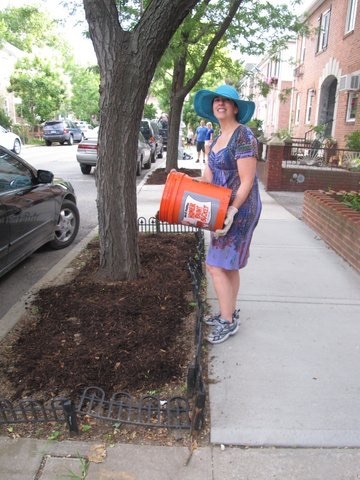 The Greening Western Queens Urban Forestry and Community Stewardship program, established in 2011, has brought hundreds of trees and community enriching tree care projects to neighborhoods in Astoria, Long Island City sunny side and Woodside. Astoria 5 received the additional seed funds because of its high level of committment and organization to organizing tree care efforts. The group plans to use the funds to encourage new stewards to care for neighborhood trees and especially by encouraging youth involvement. Trees are important to us for many reasons including, reducing pollution, reducing flooding, beautifying and cooling, and providing space for animals to live. Tree stewardship is important for improving our environment, our neighborhoods, creating community and improving our health. There continues to be a need for tree care stewards in several planting locations in the project area and volunteers who are willing to monitor our tree beds over time. Thank you for visiting! Stay in touch and get involved!